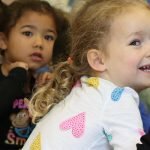 Indiana is losing out on billions in economic activity each year due to the lack child care, a new study released at today’s Indiana Early Learning Summit finds. Conducted by Indiana University’s Public Policy Institute and funded by Early Learning Indiana, Lost Opportunities: The Impact of Inadequate Child Care on Indiana’s Workforce & Economy examines how child care-related work disruptions impact Hoosier business, the workforce and the state’s overall economic output. 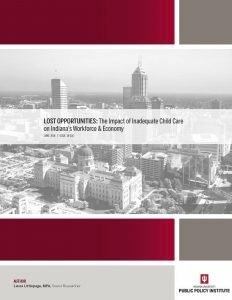 The study finds that, because of the lack of access to child care, Hoosier businesses spend nearly $1.8 billion annually to pay wages of absent employees, for overtime and temporary workers, and for costs associated with reduced productivity. Overall, Indiana’s economy loses nearly $1.1 billion each year as a result of reduced consumer spending, income and job loss, and the ripple effects of the lack of child care. This equates to a $118.8 million annual tax revenue loss for the state. In addition to statewide assessment, the study also explored how the lack of access to child care affects six different Indiana counties. 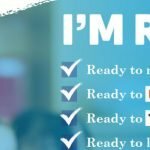 Elkhart, Jackson, Marion, Montgomery, Parke and Vanderburgh counties – a representative sample of the state’s 92 counties – all experience significant losses due to the lack of access to child care. 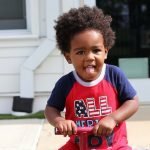 The study, which took place between March and September of 2018, was led by a 17-member advisory committee chaired by former Indianapolis Mayor Greg Ballard and Madeleine Baker, the CEO of the Early Childhood Alliance in Fort Wayne. In addition to the economic analysis, the study also reviewed potential funding sources and made recommendations for policy makers in Indiana to consider to improve access to high-quality early care and education. To view the entire study, click here. A one-page summary is also available here. Additional information and reports on early learning in Indiana is available here. As always, we ask that you share this information with other advocates and encourage leaders in your community to sign up here to receive these e-updates.